Volume is an independent quarterly magazine that sets the agenda for architecture and design. 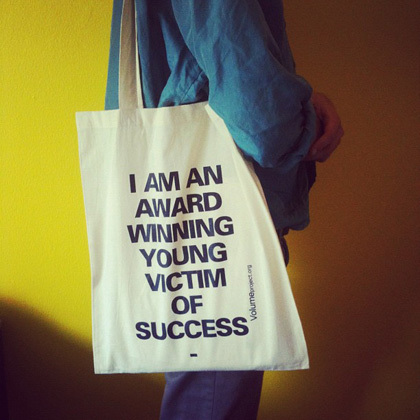 Subscribe now and get our limited edition shopping bag! On May 22nd, the world’s tallest tower opened its doors to the public. The 634 meter-high TOKYO SKYTREE is smaller than the Burj Khalifa skyscraper classified into a different category. The TOKYO SKYTREE Tower is accompanied by a shopping center housing 312 stores and restaurants, as well as various entertainment facilities. The tower has been built using state-of-the-art Japanese architectural expertise to protect the tower against eventual earthquakes. Takeshi Maeda, Minister of Land, Infrastructure, Transport and Tourism, hopes that the construction of such a landmark will bring back tourists to Japan. 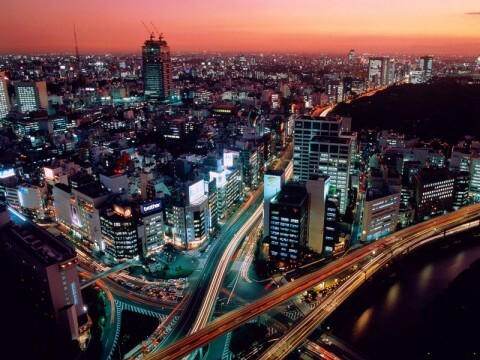 Tourism has fallen in Japan due to last year’s unfortunate events. Twenty eco schools are planned for the Gaza Strip, where sustained conflict and occupation has strained the economy and increased energy prices. The schools are designed to be resource-efficient, which is key for a region with low accessibility to resources. They will run on solar and geothermal power, with traditional islamic features, such as mashrabiya screens, as well as rainwater harvesting and greywater recycling systems. It is typical for human beings to mould nature, justifying their actions by their aesthetic and economic aspirations. But nature cannot endure everything. In Halso’s photographs, control over nature has acquired a concrete form. The elements of nature have been rethought and have, for logistical purposes, been packed into modules that are easier to handle. The whole of nature is stored in a gigantic warehouse complex and the most common types of nature from soil and flora to fauna can be easily assembled into working ecosystems. What is happening? Has nature been evacuated to await better times, or has it been simplified into merchandise and absurd tableaux? When Halso is looking into the future she doesn’t like what she sees. Labelling a martyr is, in a way, an expression of collective guilt. Martyrs are a simultaneous reminder of the hopes and ideals that an individual stood for, and also the oppressive nature of humankind to smother those ideals. Memorializing martyrs then is a way of atoning for this collective guilt and to give renewed hope that the dreams of the fallen can somehow be realized. A popular way of memorializing martyr is to name streets after them – creating a potentially difficult juxtaposition. To what extent can a street, subject to all the pressures of the city, live up to the lofty ideals of an individual? And what does it say of us when a memorialized street itself becomes a symbol of broken dreams? Guy Tillim and Susan Berger have both created photo series that examine this deep irony. Garth Lenz is a photographer who uses his images to communicate larger environmental issues and broadcast clear messages for change. His work on the Athabasca oil sands, in the photo series ‘The True Cost of Oil’, aims at documenting the scale and scope of environmental transformation occurring due to oil extraction. As the title suggests, lenz asks the viewers to ask themselves what cost are they willing to bear, for their oil consumption. We recently had a little lottery draw to win a copy of ‘Project Japan: Metabolism Talks’, signed by the authors, Rem Koolhaas and Hans Ulrich Obrist! Take a look at the draw to find out if you were the lucky one selected. 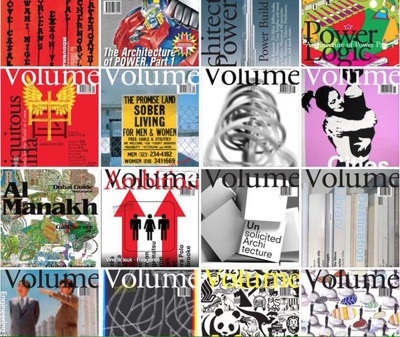 The latest issue of Volume marks a special jubilee: it is the twenty-fifth issue designed by Irma Boom – the award-winning Dutch book designer whose work for clients such as Office for Metropolitan Architecture and Ferrari has earned her the highest regard in the profession. On February 24th 2012, Volume sat down with Irma Boom to discuss among other things her practice, her work with Volume, and her unexpected love for iPads. The Broken Houses project by Tel Aviv-based artist Ofra Lapid is an impressive series of small, precise scale models of destroyed houses. Lapid says to base her “mock-ups of destruction” on photographs of abandoned structures neglected by man and destroyed by the weather. Click here to check out the entire Broken Houses photo series. Remember our December Special? New subscribers to Volume magazine were in the running to win a unique Worldmoon jewel designed by DUS Architects. Watch the official lottery drawing by our Editor-in-Chief Arjen Oosterman and find out who’s the lucky winner! By Usman Haque and Ed Borden. Published in ‘Volume #28: Internet of Things’. Pachube, a data brokerage platform for (sensory) data, positions itself at the fore of what is emerging as a global network of millions of exchangeable data sets. Such a platform, in combination with the emergent technological landscape, then raises questions about a very slippery topology of relations to data. The slipperiness of the current times can be seen as rooted in the novelty of our current state on both individual and corporate fronts. As the US Bill of Rights provided a reassurance of the rights to human liberty, Usman Haque and Ed Borden have crafted a new Bill of Rights for our emerging state of Things. 1. People own the data they (or their ‘things’) create. 2. People own the data someone else creates about them. 3. People have the right to access data gathered from public space. 4. People have the right to access their data in full resolution in real-time. 5. People have the right to access their data in a standard format. 6. People have the right to delete or backup data they own. 7. People have the right to use and share their data however they want. 8. People have the right to keep their data private. Vienna-based creative studio Atelier Olschinsky merges the worlds of digital illustration and architecture. Under the names ‘Cities’ and ‘Plants’, Peter Olschinsky and Verena Weiss created a series of stunningly detailed graphics. Providing a look into the fictional machine rooms of today’s cities, the creators tend to represent the urban beauty as well as complexity and brutality. Check out Atelier Olschinsky’s Behance profile for more pictures of the ‘Cities’ and ‘Plants’ series. Thursday April 14, 9:30-11:00 am. Studio Zeta Milano, Via Friuli 26, Milan, Italy, free entrance (first served). With Gijs Bakker, Scott Burnham, Alfredo Meda and Lilet Breddels. With the Western world heading towards a life expectancy of 100 years, and the rest of the world soon to follow, the question is: with the realm of architectural invention on the issue ready for the taking, are you ready to face getting old? And are you ready to talk about it over breakfast? 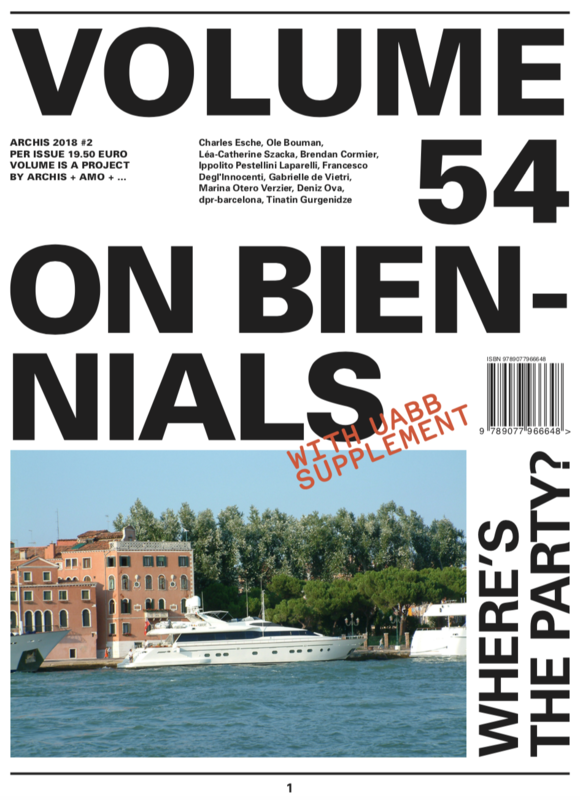 Volume 27 launches its issue on aging during breakfast at the Milan Design Fair. 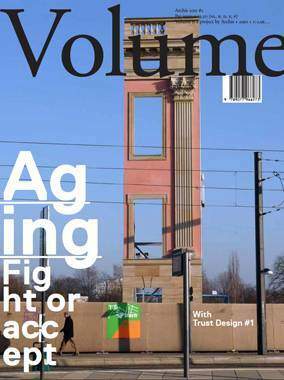 This issue of Volume explores the question of aging through current architectural typologies and institutional approaches over vast territory – from the nuclear industry that builds until One Billon AD to the top-down and bottom-up growth of New York, Tehran, Berlin and Newcastle – and is a necessary compendium for those who wish to design into the future by understanding the immediate challenges of today. 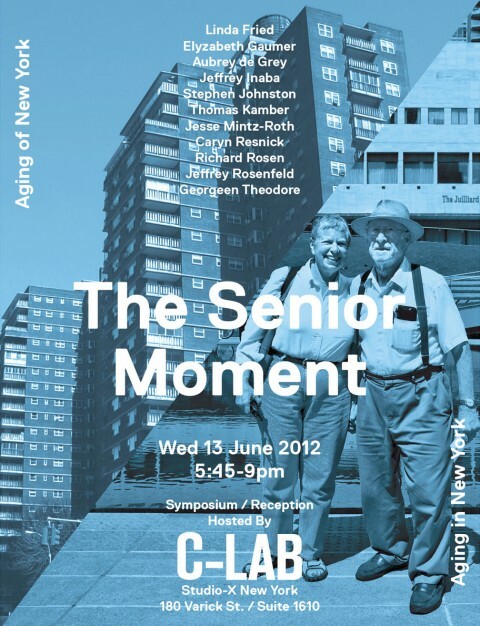 Included in the issue is a 40-page insert on trust, design and aging, presented by both Archis and Premsela. Over breakfast, Gijs Bakker, Scott Burnham, Alfredo Meda and Lilet Breddels will be on hand to discuss the importance of designing trust throughout the ages. They ask: after the breakdown of trust in the functioning of society, can design win back the public’s confidence? This event is hosted by Archis, Premsela: the Dutch Institute for Design and Fashion, and Design Academy Eindhoven. Click here for the photo set on Flickr! On Thursday June 16 director Mirko Zardini and Phyllis Lambert (founding mother of the CCA) opened the exhibition ‘The Good Cause, Architecture of Peace’ at the CCA. Some 300 people attended the opening and visited the show curated by Saskia van Stein (NAI), Arjen Oosterman and Lilet Breddels (Archis). The Good Cause shows the thin line between an architecture of war and an architecture of peace. It shows the complexities of a post-conflict resolution but also gives clues how architecture can contribute to a sustainable peace. The exhibition can be seen as an installment in a longterm project with the aim to better the way the world deals with international peace keeping and reconstruction. Opening 22 June 2011, 6 pm. Free entrance. Exhibition runs between 23 June and 31 August, 2011. Bauhaus Institute, Dessau. Click here for more information. The Exhibition ‘City Inc.’ shows the legacy of an utopian city of the early 20th century. Inspired by Fordist theories, garden city principles and socialist ideals, the Czech shoe company Bata went on a mission to “shoe the world“. In Zlin, in the Czech Republic, Bata built a first company town according to modernist architectural precepts, testing the idea of a model town that could be efficiently replicated. These Bata cities, soon to be exported all over the world, all combined the same components: architecture, urban planning, management, social engineering and communication. The geopolitical context of colonialism as well as growing international trade and labour division encouraged the company’s expansion.Soon enough the Bata empire formed an international corporate network of 80 Bata cities as places of production as well as a modern way of life. The exhibition introduces two Bata satellite towns, Batanagar (India) and East Tilbury (Great Britain); two places which have developed in opposite directions depending on the remaining presence or final absence of the Bata production in the city. Not only does the show give an insight into the complexities and contradictions of life in a city that has changed dramatically during the last century, it also reflects the uncertain future of these two company towns in the context of current strategies of global corporations with regards to their “urban footprints”. During the 2010 Architecture Biennale in Venice, it became clear that thousands of inspiring, vacant public buildings in the Netherlands have the potential to be reused for creative entrepreneurship and innovation. With the two-year master’s program Vacant NL, the Sandberg Institute is realizing its ambition to train designers, craftsmen and scientists to become specialists in the temporary use of buildings and other spaces. 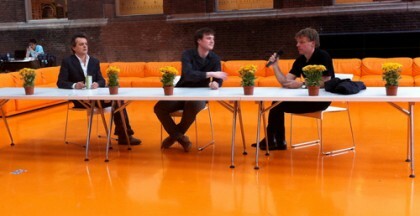 Directed by landscape architect Ronald Rietveld and philosopher Erik Rietveld, the program revolves around design research on the potential of vacant spaces. Insights and solutions from different fields of knowledge are combined to address the topic in an integrated manner. Several unique buildings are available for experimentation and for making site-specific design interventions. Without doubt, what the Netherlands needs in the current decade is a multidisciplinary team of talented specialists in temporary reuse of buildings and other spaces. 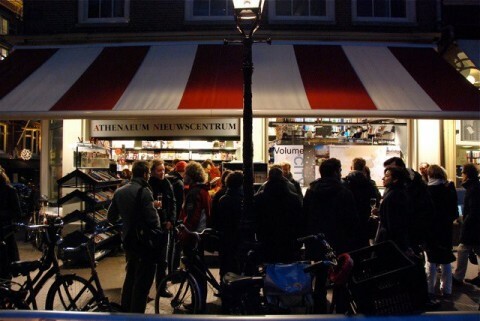 The challenge posed by Vacant NL calls for a range of visionary, unorthodox and unsolicited interventions. Design and build the impossible! Vacant NL is open for ten students, all of whom will be expected to have a solid basis in a relevant discipline at the start of the two-year program. Seven of the students will have a background in design in the broadest sense of the word. This could be in architecture, industrial design, interior architecture, web architecture, or stage design. The other three students will be resourceful specialists from other fields. They could be creative lawyers, fire fighters, documentary makers, urban geographers, cultural historians, research journalists, plasterers, event planners, or aerospace experts, for example. Their expert knowledge of their respective fields will enable them to contribute to surprising, unconventional design solutions. The variety in the students’ backgrounds and the contributions that specific experts from outside the field of design will make to the program will enable the integration of multidisciplinary knowledge. Vacant NL believes that by combining design, science, and technology in real-life situations, one can make the step towards real innovation. Click here for more information regarding the program. After being one and a half year at the Archis team as managerial editor of Volume, Timothy Moore is going back to his roots in Melbourne. Congratulations on your new job as Editor of Architecture Australia, and thanks for being part of the team! 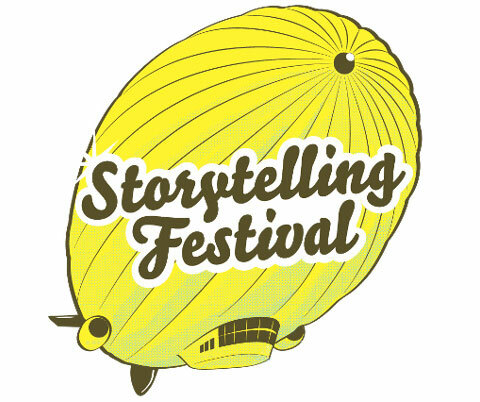 Thursday 12 May, 10:00-18:00, at Uferhallen, Berlin. Organized by Urbanophil and Architekturvideo. Click here for more information. The Internet has become the most powerful communication infrastructure developed and used by mankind. It is changing our communication habits and ways of interaction and collaboration, and opens up new ways to disseminate information and knowledge. The Internet is also changing the discussion of urban issues, the distribution of information, how actors communicate and participate in the shaping of our (built) environment. Instead of passively consuming, one can now participate, publish and network. This opens up new opportunities for civil society engagement. It is not just the technology that makes things special — much more important is the change that goes along with the societal penetration of these technologies. Its great social and communicative consequences are not yet sufficiently discussed and understood. Especially in the fields of urban planning and architecture, the possibilities and new challenges are underestimated and slowly accepted. But there is a growing group of young urban planners, architects and activists, which explore the design challenges and opportunities that derive from the digitalization of space and society. But despite these developments, the urban-architectural blogosphere is just at the beginning. Therefore a conference is organized to discuss the changes, possibilities and limits, but also the challenges. Check out the Blogging the City website to learn more about the conference. With the Western world heading towards a life expectancy of 100 years, the question is: with the realm of architectural invention ready for the taking, are you ready to face getting old? The viability of a contemporary counterculture is defined through the sustainability of its oppositional stance. 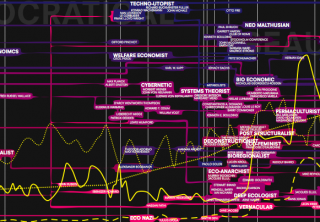 CyberAnthropologist Steven Mizrach argues that to find a countercultural voice, oppositional figures – hackers, cyberpunks, techno music makers – must liberate their niche, underground positions in the name of information dissemination. An anthropologist teaching at Florida International University, Mizrach focuses his research on the confluence of anthropology and ‘high technology’, or AnthroFuturism. Not surprisingly, there is both continuity and change between the countercultures of the 1960s and those of today. The computer underground, the rave movement, the modern primitives, and other contemporary cultures can trace a lineage back to the Beatniks and Hippies of the 1950s and 1960s. Several key figures, such as Timothy Leary, John Perry Barlow and Stewart Brand, most obviously bridge this transition. However, rather than examining continuity, this essay will focus on evolving attitudes toward the natural and organic versus the artificial and synthetic. While the hippies were sometimes wary of advanced technology, today’s countercultures readily embrace it as a tool for countertactics. Excerpts from an interview conducted in March 2010. Neil Spiller’s work — which spans his theoretical ventures and architectural practice, and was shaped by his training with both Cedric Price and Gordon Pask — explores the friction between media and reality, interrogating the oxymoron inherent in the notion of ‘virtual reality’ and how this divergent term informs the built environment. Here, he sits down with Volume to reveal the Surrealist methods latent in the dream state of the architect. When I first started writing, the big buzz was full body immersion in cyberspace and Mondo2000. Since then, a lot of us have realized that our intelligence is literally embodied. Our intelligence is made out of virtual and real things, and the synthesis of the virtual and the real is where my explorations lie. Certainly the idea of living in a pod with my bodily functions wired up to the sink is not a good thing. For me, architecture is embodied in a series of reflexive objects or narratives. I often say that architecture can exist from the microcosmic and the nanoscopic to the cosmographic. I’m interested in the blurred boundary as a place from which to speculate, in both architecture and drawings. I’m always kind of sniffing and licking them a bit, not sure if they’re any good yet. I spend a lot of time talking about, perhaps reassessing, the spatial protocols of Surrealism as a way of finding methods to expand aspirations and knowledge of the digital world. Specifically, the Paranoiac-critical method, as Salvador Dalí’s psycho-sexual approach, is how I re-interpret the world. People have described my drawings as a kind of myth-making, and certainly my work over the last ten years has become very mythic. 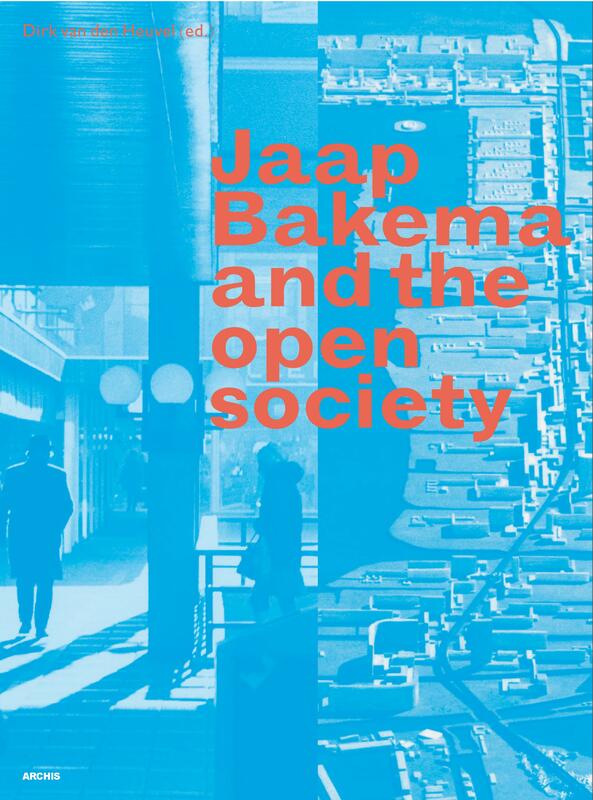 So I try to link to his body of work, which I think was brave for its time, and uses it to question some of the assumptions we (architects) have about our role in the contemporary world … Soon we’ll be able to start to make spaces that aren’t dictated by the tyranny of the planner or the aesthetic tyranny of the architect. What has disappointed me is the way the architecture profession has taken to virtuality by one particular route, which has now been exploited to the point of ubiquity. There is a lot more of the virtual world that rubs up against architecture that needs exploring. I am interested in what I call architecture of the second aesthetic, which is essentially algorithmic. I think there is a place for algorithmic architecture, but to explore it properly we might have to leave the computer behind. Alex Steffen Interviewed by Yukiko Bowman and Julianne Gola. In the late 60s, the Whole Earth Catalog popularized an understanding of ecology as a continuum between the self, technology, and the environment. Forty years later, Alex Steffen, editor of the website Worldchanging and the recent compendium Worldchanging: A User’s Guide for the 21st Century (Abrams, 2006), is approaching sustainable living from the micro (the design of refugee shelters) to the macro (climate change). A global advocate for a social, high-tech approach to environmental and community sustainability through innovation, Steffen is also the editor of the last (unpublished) issue of Whole Earth, the magazine that grew out of the Whole Earth Catalog. Here, he assesses the legacy of the Whole Earth Catalog in contemporary discussions of environmentalism and how counterculture compares with his notion of ‘bright green’. Yukiko Bowman: In many ways, today’s mainstream environmentalism comes directly out of 60s counterculture and the Whole Earth approach. These days, ‘green’ is used as a selling point for everything from gasoline to t-shirts. How do you position Worldchanging – as an extension of countercultural ideals or as an example of environmentalism’s increasing popularity? Alex Steffen: In order to keep fulfilling our function, we need to be on the edge. It is a real challenge for us that our content has moved into the mainstream. As the sea of innovation grows, it becomes harder to cover its surface. You know, I grew up on a commune where Whole Earth Catalogs were bouncing around. That countercultural filter was a big part of how the people who raised me saw the world. Today, the Whole Earth Catalog has become the placeholder in our cultural notation for ‘all that innovative hippie crap’. 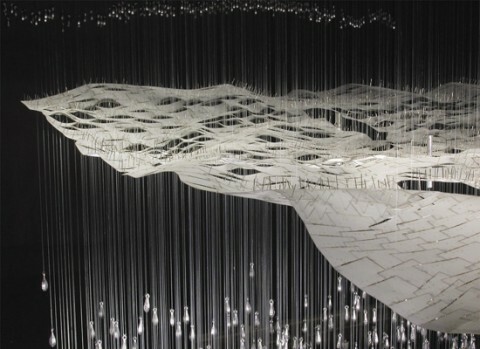 Indesem explores the future of architecture. Order now! “Architecture should put itself in the middle of the public debate on space.” With this ambition Indesem, the biennial International Design Seminar, explored challenges and potential of architecture. Curated by Winy Maas, the workshops focused on major issues, confronted these with specific locations in Rotterdam and presented these as billboards all over the city. “Think not what you would like to make, but what in fifty year’s time should be your legacy”, was the brief. 2067: The Legacy contains the lectures and inspirational input of Herman Hertzberger, 2012 Architects, Ronald Wall, Floris Alkemade, ZUS, Wouter Vanstiphout, Michiel Riedijk, Winy Maas, Dirk Sijmons, Salomon Kroonenberg, Juhani Pallasmaa and reports on the students’ struggle to formulate an agenda for architecture. With beautiful photography of Jeroen Musch, graphic design Maureen Mooren with Sandra Kassenaar. 336 p, ills, color & b/w 17×24 English pb. ISBN: 978 90 77966 518. Click here to order 2067: The Legacy. An impressive animation of satellite images taken before and immediately after the flood shows how rising water leaves a trail of destruction in Brisbane. A split second transforms the city’s colorful urban landscape into a brown quagmire. Monitoring changing landscapes using satellite images provides insight in various scenic transitions. The New York Times has made available a shocking series of aerial photos from GeoEye and Google that show Port-au-Prince before and after the January 12, 2010, earthquake. Specifically interesting to take notice of here is how Pétitionville’s tent city is organically constructed with an almost Medieval street pattern. In the autumn of 2008, as the first ripples of global recession spread across the Gulf, Bahrain announced its Vision 2030 plan. It was not the first Middle East country to draw up a blueprint for long-term development. But in the words of Sheikh Mohammed bin Essa Al-Khalifa, Chief Executive of the Bahrain Economic Development Board, ‘it came at an opportune time’. With oil prices falling from an all-time high in July 2008 to a seven-year low a few months later and stories of debt defaults, redundancies and investment scandals flooding the newspapers it was a good time to establish where the Bahraini economy was heading. Vision 2030 was not intended to pilot the nation through the storm. Yet its clear appraisal of every issue from road traffic to healthcare, as well as its basic targets, provided much needed clarity in a time of confusion. Vision 2030, developed with the help of PricewaterhouseCoopers, is not an urban planning document per se. Rather it is more of a social strategy. The central aim of the vision is to create ‘an economy that raises a broad middle class of Bahrainis who enjoy good living standards through increased productivity and high-wage jobs’. Yet many of the plan’s provisions relate to the future development of Manama and its outlying urban areas. In just a few decades 80% of mankind will live in cities where more than 90% of our wealth is generated. And all that covers less than 3% of the earth’s surface. Cities are effective, they drive innovation, offer the best answer to overpopulation, and are the greenest answer we have on a planet where crisis and climate change are forcing us to find rigorous solutions. But then cities must be better managed, better designed, better organized, and better planned than they currently are. Only then can cities save us from ourselves. With Making City, the International Architecture Biennale will therefore actively engage with ‘city making’ in the form of concrete projects in three cities: Rotterdam, São Paulo and Istanbul. For this, an international team of curators is engaged in a two-year research programme in these three cities. Their main goal is to redefine the role of and the relation between planning, design and politics and thereby contribute to a more effective toolbox for making the city. Open and new alliances among urban planners, scientists, businesses, developers and local administrators are the driving forces in this endeavour. It will culminate in presentations, exhibitions, lectures and debates in the three cities, after which it is the stated intent of all partners to see the projects realized. The IABR calls for submissions of projects that advance innovative responses to today’s most pressing urban challenges. Municipal, metropolitan and national governments, cultural organizations, researchers, designers, and other parties are invited to submit design projects that rethink the existing interaction between politics, planning and design. 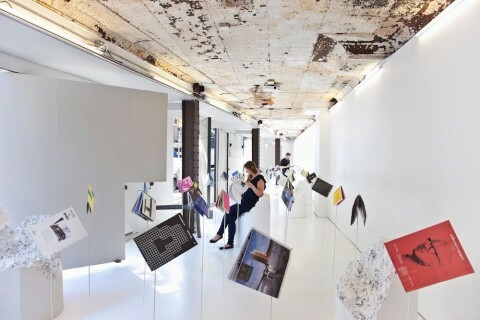 The selected projects will be integrated into the 5th IABR’s overall research and development process and they will be presented in Making City, the 5th IABR’s main exhibition at the Netherlands Architecture Institute, opening in April 2012. 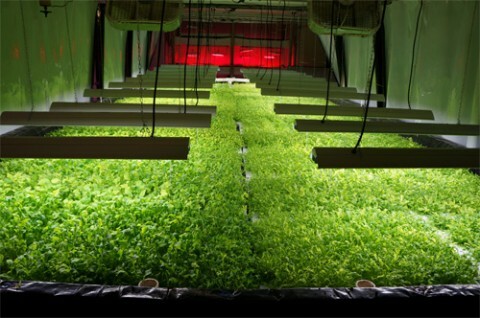 Projects can be submitted until 1 April 2011, 12:00 CET. Click here for submission guidelines, the complete Call for Projects and more information on the 5th IABR — Making City. These urban initiatives should incorporate principles of sustainable development and demonstrate an ability to bring social, economic and environmental benefits in a holistic way to communities around the world. The Prize will also place an emphasis on practical and cost effective solutions and ideas that can be easily replicated across cities. Through this prize, Singapore hopes to facilitate the sharing of best practices in urban solutions among cities and spur further innovation in the area of sustainable urban development. The Lee Kuan Yew World City Prize Laureate will be presented with an award certificate, a gold medallion and a cash prize of S$300,000, sponsored by Keppel Corporation. Deadline for submissions: March 31, 2011. Midway December we kept on fighting on through the snowstorms for a short stopover in Shanghai. Voyager 3: A group of Western and Chinese architects, designers and artists, presented their proposed contribution for an imaginary third Voyager space probe in the format 20 x 20 (20 images of each 20 seconds), amounting to 7-minute presentations each. Alicia Framis presenting the Moonlife Concept Store in Shanghai. 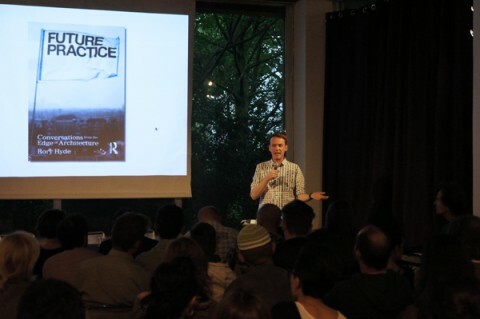 The event was organized by Volume and the Platform for Urban Investigation in conjunction with the official Chinese launch of Volume 25 – Getting There, Being There: Architecture on the Moon with The Moonlife Concept Store catalogue inside. The evening was followed by a creative industry event with food/drinks/music. The first two Voyager capsules, sent into space in the seventies to take images of several planets in our planetary system, venture on into deep space and (potentially) encounter other intelligent life one day in the future. For that reason a representation of life on Earth was selected by scientist Carl Sagan and his team. These sounds and images included greetings in 55 languages, animal sounds etc. Not only was this a rather narrow subset of life on Earth but it also represented a strictly western point of view. We have created a photo set on Flickr containing covers of all Volume issues that have been published so far. When you click on a cover, you will also find information on that specifice issue, along with an ‘Order on Amazon’ link. Enjoy! Every amateur philosopher has dreamed about what they perceive as a utopian society. It’s fascinating to think about a world without the ills we experience today and how perpetually imperfect humans would achieve such an existence. Utopian fiction does just that, enabling readers to travel to a world that will never truly exist. Below is a list of the 20 essential works of the genre. Each are an excellent read when the real world seems as though it’s becoming a dystopia. capability of working independently and ‘carry’ a theme. Archis is a foundation with 3 basic sections: Publishers (Volume, Beyroutes, e.g. ), Interventions (workshops e.g.) and Tools (lectures, debates, e.g.). Volume is an English thematic quarterly magazine, dedicated to the potential of architecture in its broadest sense. We are specifically looking for interns on the following themes. For our long term (2 years) project consisting of two issues of Volume, two exhibitions and several (online) debates and forums we are looking for interns on several aspects of the project from research to production to publicity. Period: from January 2011 to February 2012 for a minimum of three months and two days a week. The upcoming issue of Volume deals with several aspects of Aging: like demography (aging of populations), technology (aging of matter) and politics (aging of ideology). The issue will be released in March 2011. We are looking for someone to help with the research and production but also with the ‘afterlife’ of the issue once it’s out by actively searching for relevant platforms (virtually or physically) to continue the debate. Period: January 2011 – April 2011. The summer issue of 2011 will be dedicated to the Internet of Things. The issue will be about ways to go beyond the gadget and application mode. We are looking for someone to help with research and production but also with the ‘afterlife’ of the issue once it’s out by actively searching for relevant platforms (virtually or physically) to continue the debate. Period: March 2011 – July 2011. We are looking for people with video editing skills to create ‘digestible’ video/audio material for the websites, vodcast or other use. We have raw material from launches of Volume issues, debates and research trips. Most pressing to tackle is the video capture of our Tehran research trip. The Tehran research (in collaboration with the TU Delft and the NAI) will result in an alternative travel guide to Tehran to be published late 2011. Period: January 2011 – July 2011. We are flexible and open to proposals on your side, regarding working hours and input. If you are interested in any of these positions please write an email with your background and motivation to Valerie Blom: vb@archis.org.